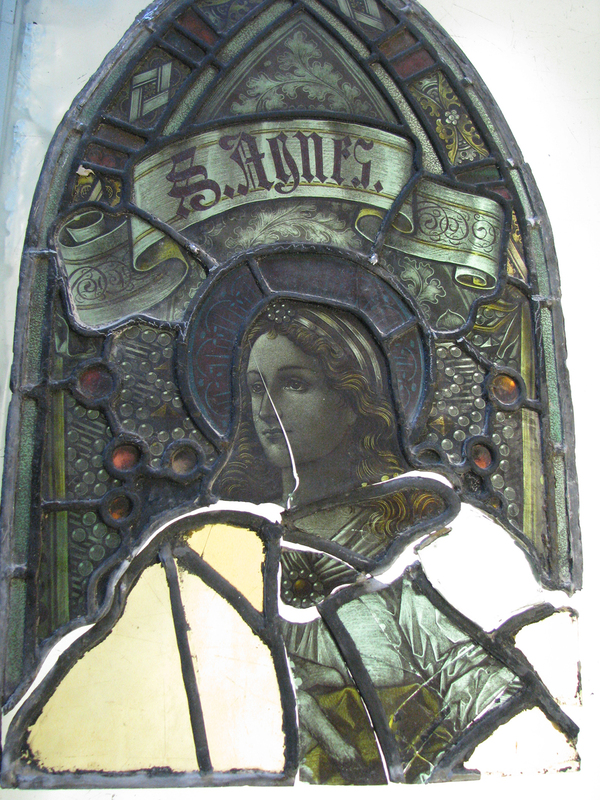 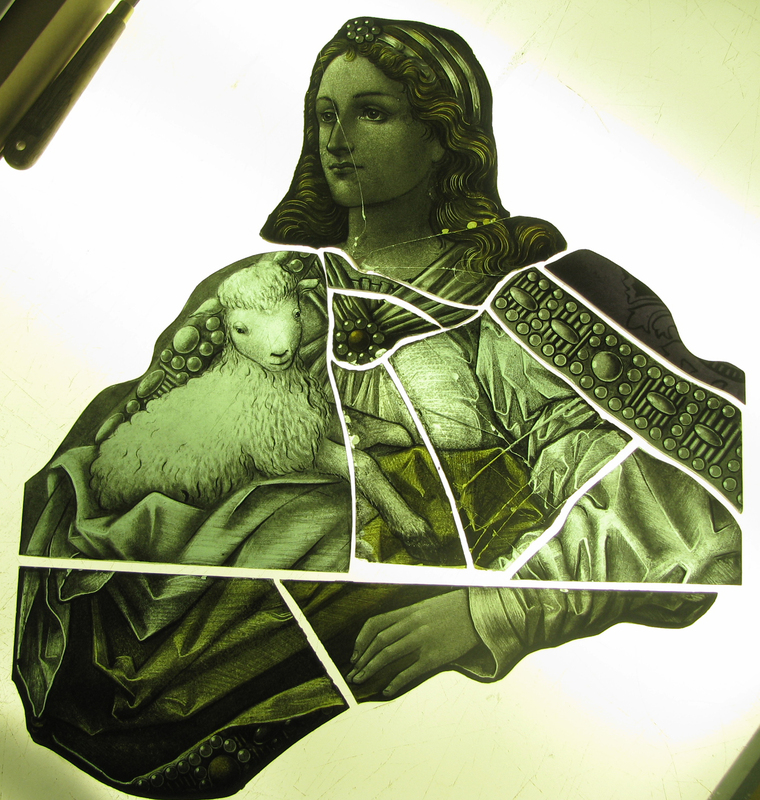 The Saint Agnes window in St. Michael and All Angels church was badly damaged and had plain glass temporarily inserted into areas where glass was missing. 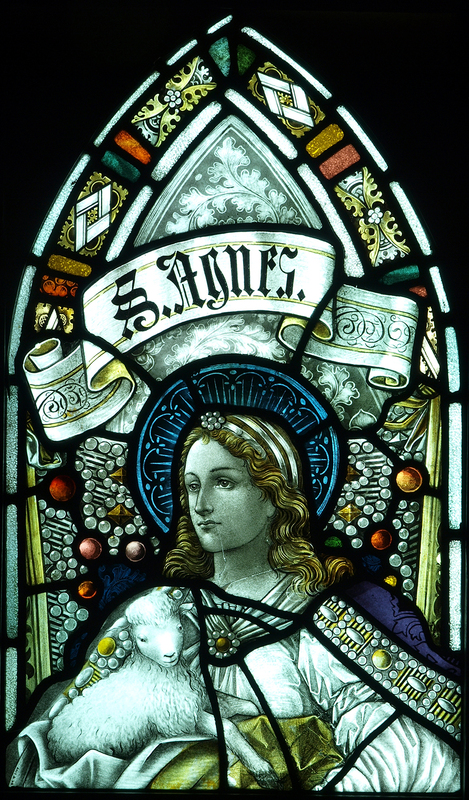 It is a late 19th century window made by The Percy Bacon Brothers. 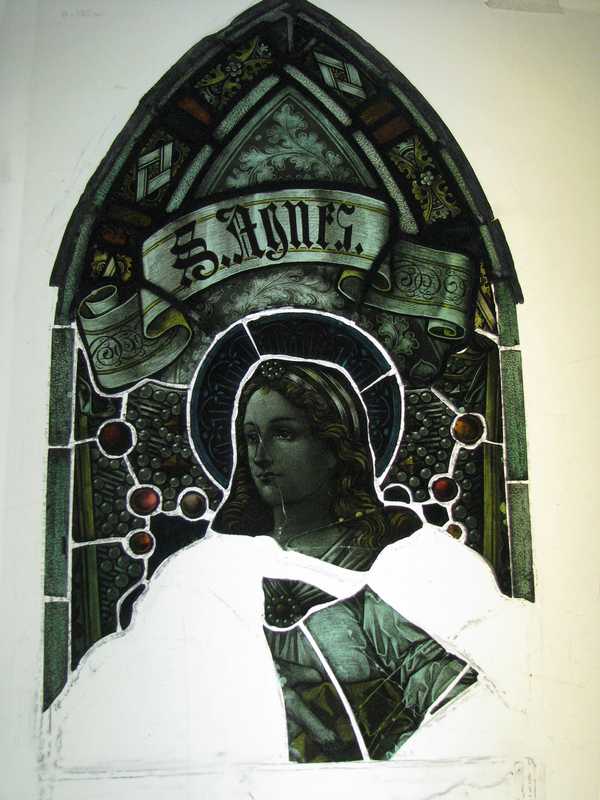 It required reconstruction and because several sections were missing had to be re-drawn and re-painted to match the original glass, paint colour and painting technique and style used on the rest of the window.